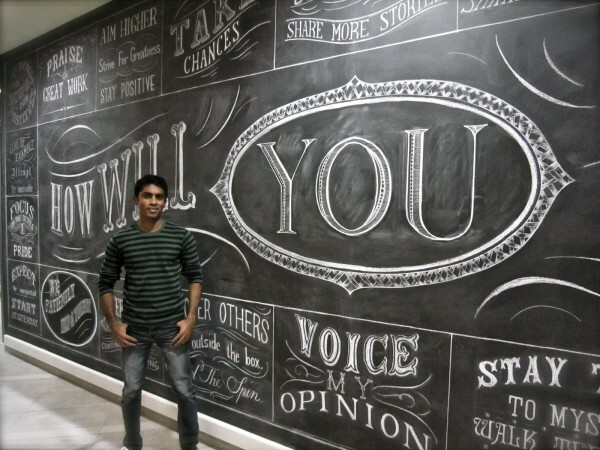 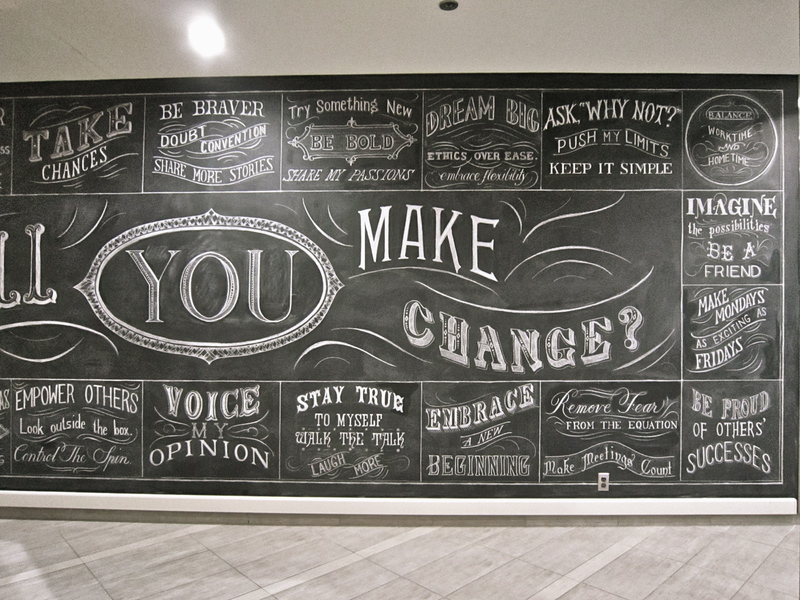 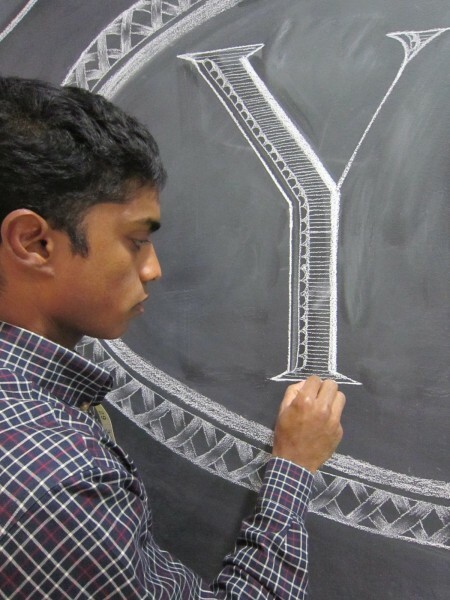 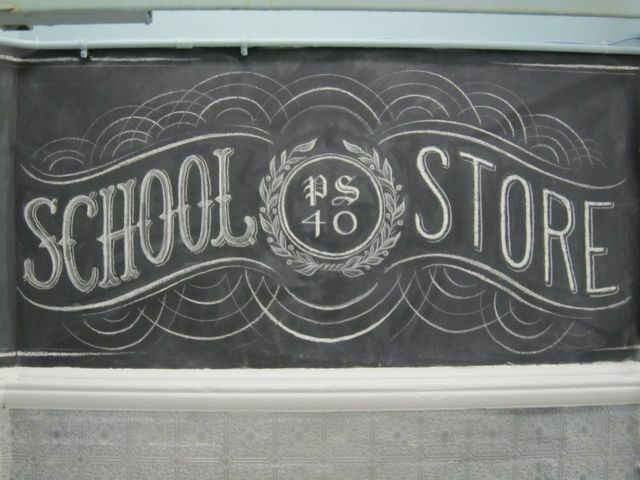 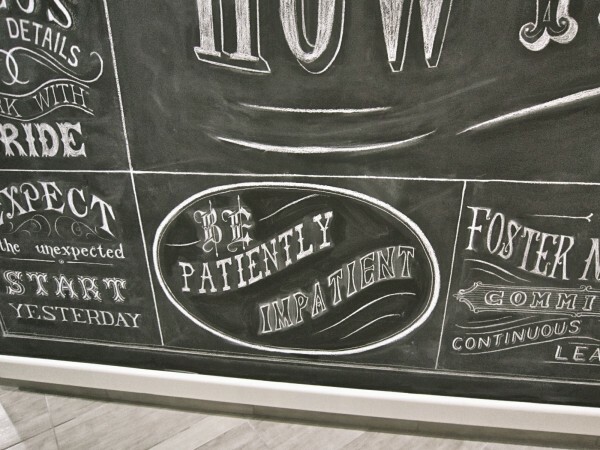 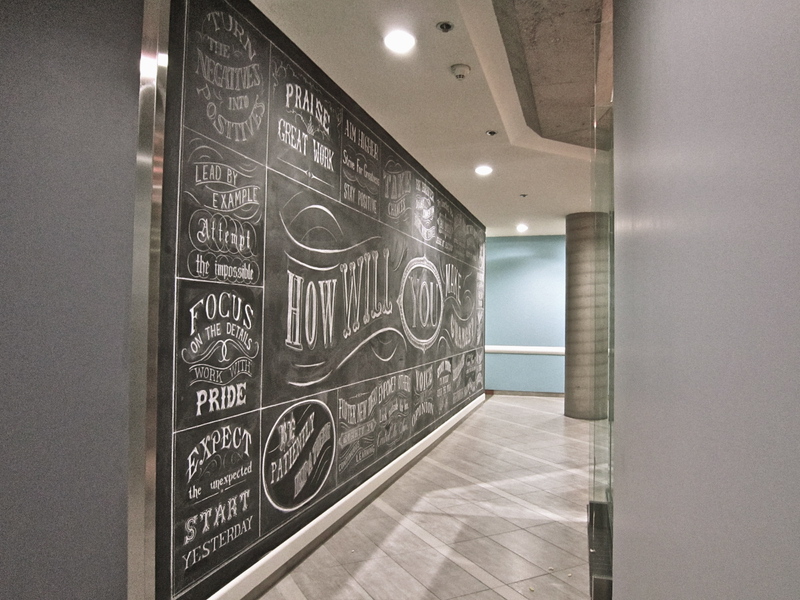 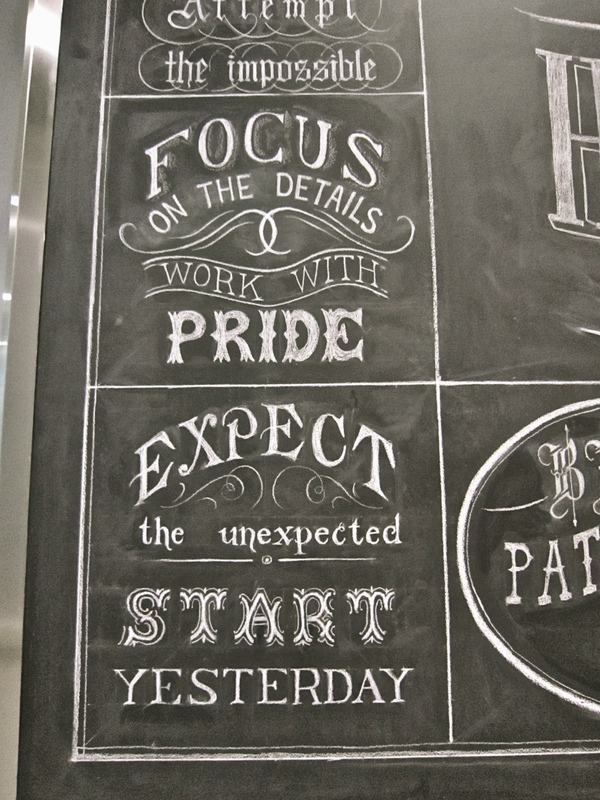 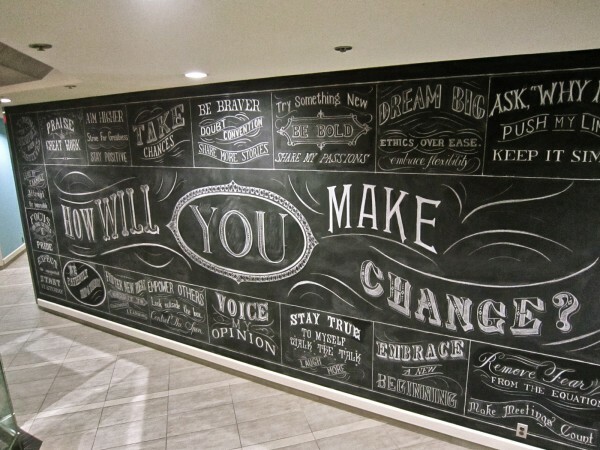 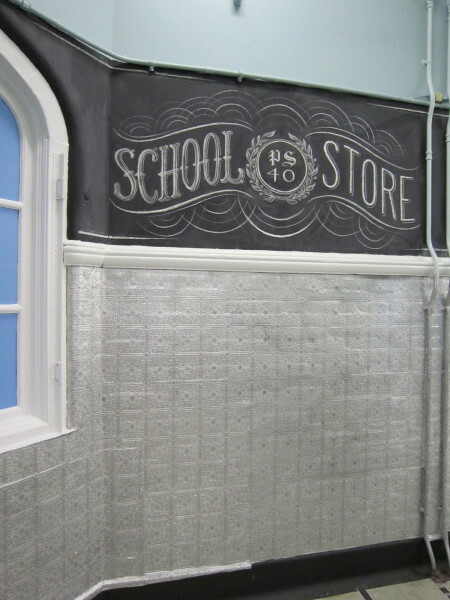 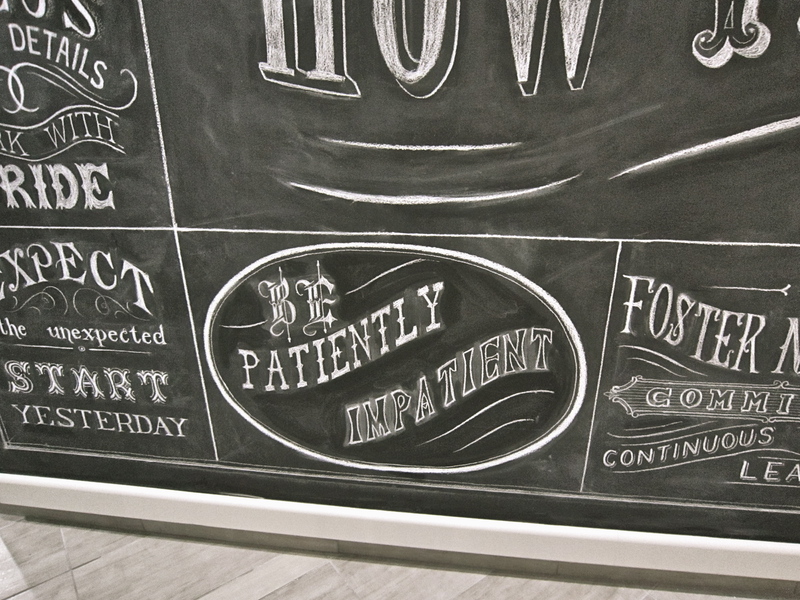 Getting Krafty on the new chalk-wall that was painted at the headquarters of Kraft Foods Canada. 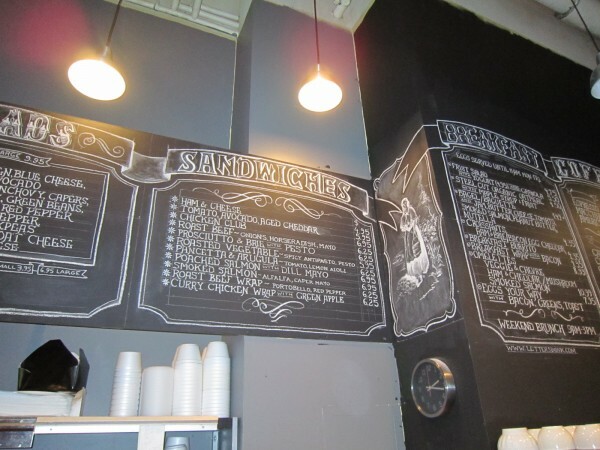 I took a break and had some K-D for lunch. 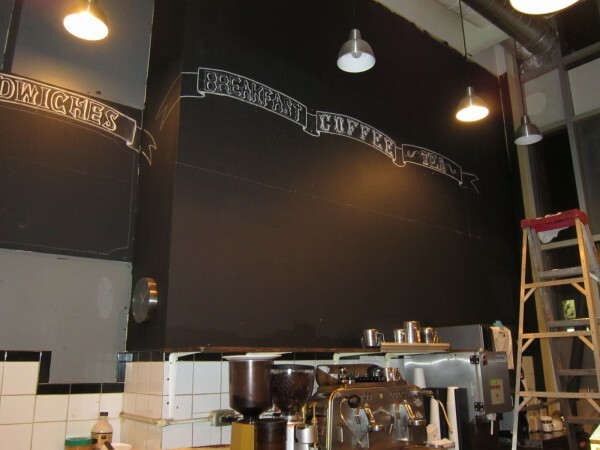 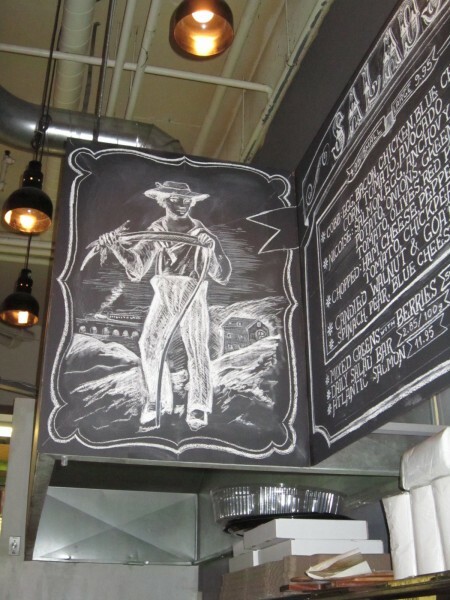 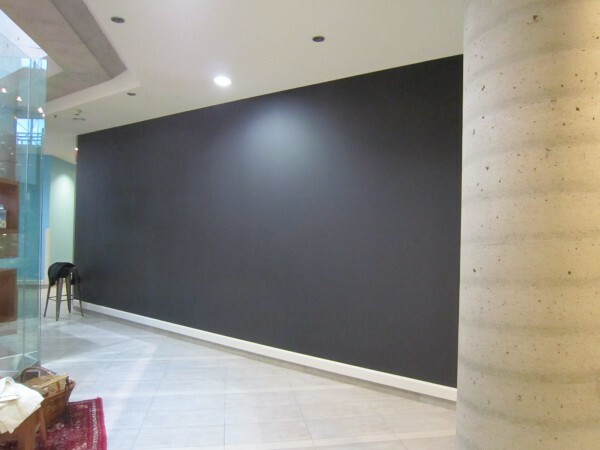 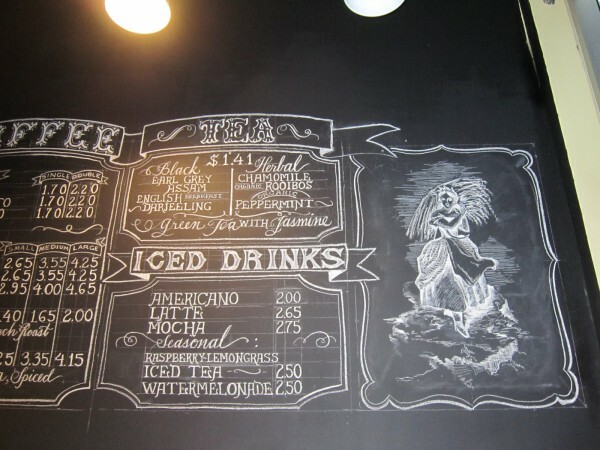 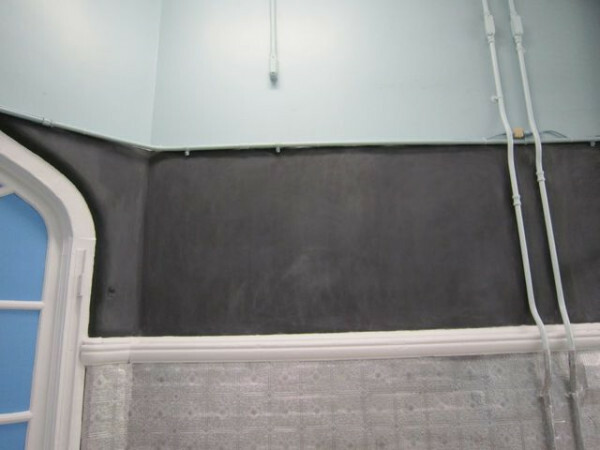 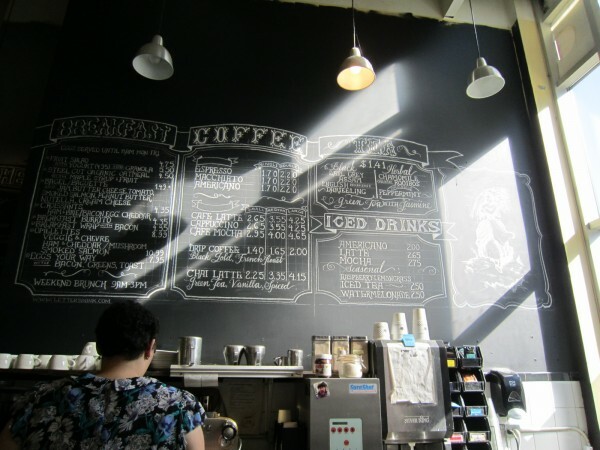 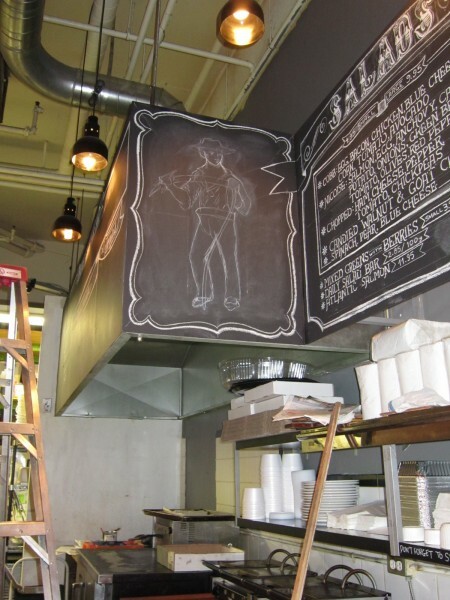 The new chalk walls I just completed at Le Gourmand – 152 Spadina Avenue.